We manage and maintain wordpress and non wordpress websites with tender loving care. Just like how we manage our own websites. We will manage your website on how you want it. Typical websites like online store needing product information and price update, a blog that need frequent posting, a service website that you use in your daily operations and just let us know what you need and we will do it for you. Example of websites are churches, various for profit and non-profit organisations, schools and colleges, high traffic blogs, child care services, event venues, hotels and motels and others. Concentrate on what you do best and leave your website to us. Adjusting to the fast changing and developing world can often be a lot of work. It requires that we spend a lot of time focused on understanding the different stages and jobs of websites and technologies, and what they are meant for. This helps us make the most out of them when the time comes to really get into them for ourselves. Such an example is Wordpress. Since its creation, it's developed into an empire of sorts and is considered to be one of the leading influences in the world of blogging, but Wordpress is more than just a blogging website. 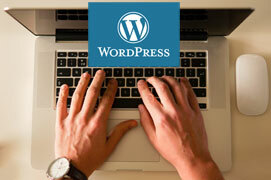 The history of Wordpress is relatively short, as it is still developing big time in our world in today's day and age. It started out as a primitive version of itself back in the early years of 2000-2003, if not earlier. It started out as a web template website – much like today – and it provided an electronic home for a lot of the big companies that were looking to use a trusted template and program to create a strong online presence. From its beginning, b2/cafelog (the name of what would eventually become Wordpress) was a popular choice due to the fact that even in its primitive stages it would allow a lot of the cutting edge features that made it a popular hub for commercial online businesses. By 2003, the name Wordpress and its more refined details had been created, and professionals started making the jump to it almost immediately. What was originally a fork in the brand name, eventually swallowed up previous software and other options, until Wordpress was the only thing left. By 2009, Wordpress was one of the top leaders in the world, due mostly to the fact that they kept a lot of their services and features free, unlike their competition, and they prided themselves on being open source technology, so that plugins became a really realistic option for those that were looking to integrate other kinds of technology and web features out there. Even by today's standards, Wordpress is still on top of the market and it brings in a lot of business. It has expanded to be everything from a personal blog, to a commercial website where you can sell products and services to customers. It is well-received as being an honest web template site, and is still used widely even with all of the competition out there today. So, if you're in the world of business and you're trying to figure out just how you should put an online presence together, and who you should trust to do that, you probably know that there are two main kinds of how you can create websites. They are HTML and CMS. CMS (content management systems) puts you in charge of your website by keeping all of the content understandable to you through the editors and other features. It means that you can create and modify your webpages with even the complete novice in charge. It keeps everything friendly and more intuitive throughout the process, with the same – if not better – results on the other end of it. When you go with HTML, assuming you had a system to make it work appropriately for you, you will get a website that is quite literally written the way you want it to be from the coding to the final result. If you go with a CMS website like Wordpress, however, you are getting the same quality results at the end of this, but you won't have to understand HTML to do it. It's all about using the same final product but in a way that even a total beginner can understand and use to his advantage. This makes it the most realistic option for a lot of people out there who are looking to make their websites a success in a way that doesn't overwhelm them. Despite the popularity of Wordpress in the commercial and private worlds alike, there are other alternatives to consider if Wordpress is not a great fit, or you want to understand what the other options can give to you while staying within the world of CMS. Such an example is Ghost, which is a branch off of Wordpress that went down the personal route of things. This has the quality of Wordpress, but it is entirely focused on blogging and developing the world of this kind of communication and networking. Another example is Joomla, which is very popular as a strong competitor of Wordpress. It offers all of the options that Wordpress does, and even more in terms of their plugins. It is used by a lot of businesses out there already and is considered to be the main competitor to Wordpress in terms of having the same marketplace. Drupal is the other strong competitor that focuses on the elite of the elite in terms of online presence. They are known for only representing a small 2% of the market, but that 2% is made up of The White House and The Economist, two major pillars in the USA and the world without a doubt. Wordpress is one of the rare instances in which an online-based business has been a success almost from the get-go with little rebranding needed to refine its services to the interested audiences that are looking to get in on it. It continues to grow even in spite of its competition, and it is drawing in more personal and professional users each day.